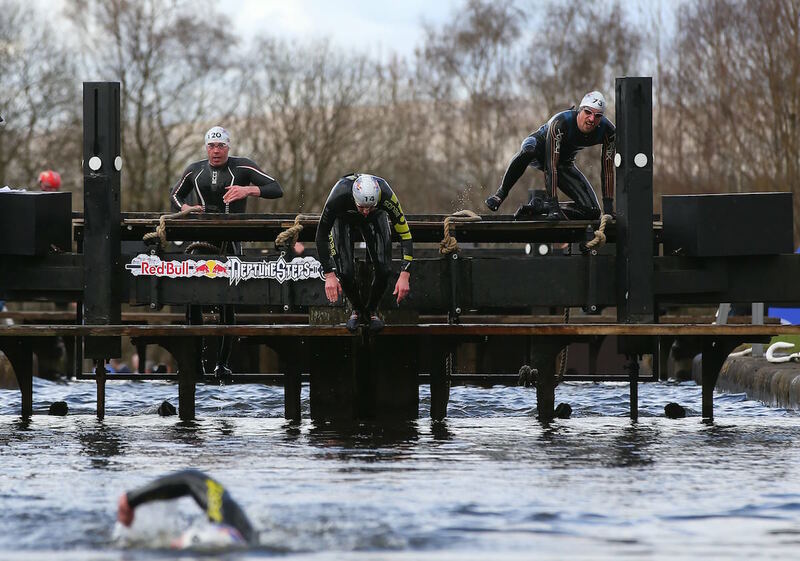 “The toughest open-water swimming race in the UK returned to Glasgow on Saturday 9th April, with 200 athletes taking on the challenge of swimming uphill. I haven’t looked forward to a race this much for a very long time. On the one hand, for a water polo player and an open water swimmer the Red Bull Neptune Steps appeared to fit my skill set more than most, but on the other, had no idea what to expect. This is unlike any race I’ve ever done before. 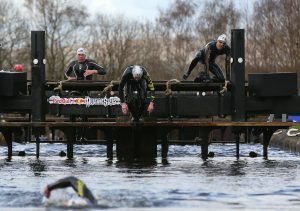 I managed to fit in one training session at Thorpe Lake the week before the event. Having not been in cold water for a while I wanted to ensure my kit was up to the task. I wore an old, slightly too big wetsuit, fingerless windsurfing gloves and wetsuit boots. 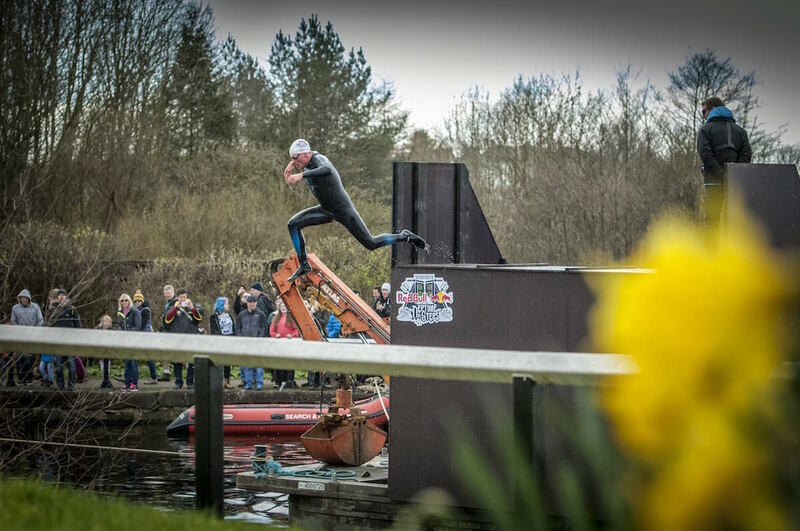 My plan was to simulate the event as much as I could, so I dived into the water, swimming as fast as I could towards the floating walkway and climb up onto it, before turning around, diving back in and sprinted back to the pontoon, jumping out as quickly as I could. After practicing this a few times, I felt happy with the kit choices and with my ability to move in the cold water. With my father for company, I travelled up to the event after work the night before the race. Fortunately, the flight from Gatwick to Glasgow couldn’t have been easier. After a quick bite to eat, we retired for an early night’s sleep in order to grab the day by the balls and have a look at the course the following morning. 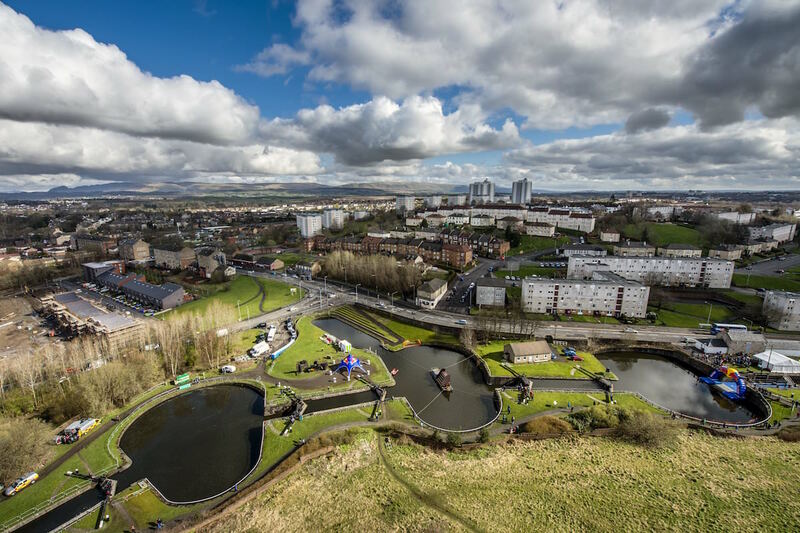 By some divine intervention, the sun was out and the canal, which despite being 9˚C, looked surprisingly inviting. It was very impressive to see how the course had been laid out on a very normal canal. It certainly didn’t look normal today. Although the course was a mere 420m long, it would be by no means a walk in the park. In order to reach the finish I’ll have to negotiate a 4m cargo net, 60cm rope climb, 4m wood ladders, 60cm rope climb, 3m rope ladders, 60cm rope climb, climb up to a 3m jump back down, 3m climbing wall, 60cm rope climb and trying to swim in between all of this. And if that’s not all, I would have to repeat the process up to three times if I wanted to reach the final. To my surprise, the obstacles were more manageable than I imagined. 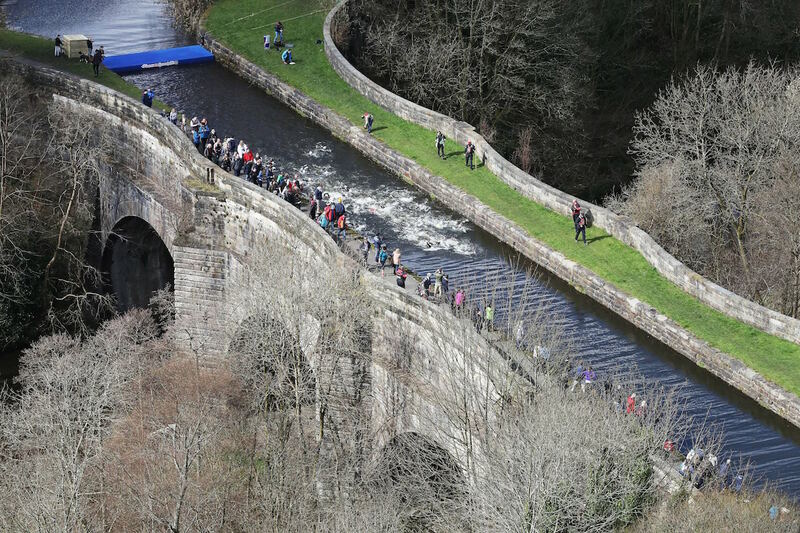 The tough part was at the bottom of each of the 4 big climbs where the icy cold water would rush out from the bottom of the lock gates, smashing me in the face just as I was desperately trying to take a breath after a hard swim, all whilst attempting to get my frozen feet in place to start the climb. The small 60 cm rope climbs were also surprisingly tough. But the highlight of the course was the big 3 metre jump, a height I would normally be a little cautious at jumping from. As I was in the first heat, I had enough time to get dressed, warm up and watch the subsequent heats. Watching the standard of swimmers, I realised that I was going to find it hard to make the final. 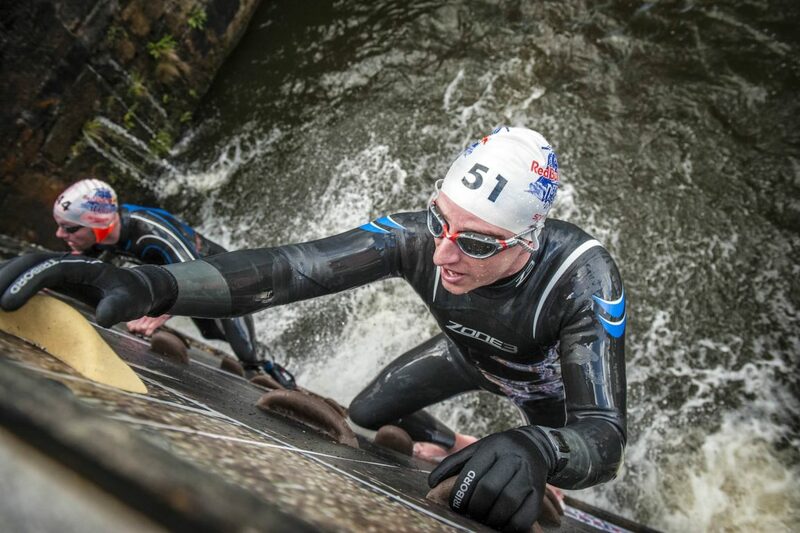 After putting my damp and cold wetsuit back on, a fairly unpleasant task at best, I prepared for the Semi-Final. I started in exactly the same place as before, but this time there were about five very fast guys and I was left behind in another group of about five. Which meant that if was to qualify for the final (top 10 in each semi) I had to win out of this little group to make sure. I stayed steady up to the third obstacle and then I unleashed the beast within me and just went for it. I haven’t raced that hard for years, throwing myself back into the water after each obstacle like my life depended on it. But once again, my tactics worked I crawled across the finish line in a respectable sixth place. Feeling utterly exhausted, I had no idea how I would have the energy to compete in the final which started in less than 1 hour. It took most of the hour to recover while sat on the floor in a warm tent with my wetsuit on. When it was time to head down to the start, I was for the first time in a zen like calm, possibly because I had no expectations of myself. Indeed, I had already exceeded my expectations. When the gun went, I took it easy up to the first cargo net. It was only at the top that I started to get going and started to pass a few people. As I approached the final small rope climb I was head to head with another guy which resulted in a crowd pleasing sprint finish and 12th place overall. 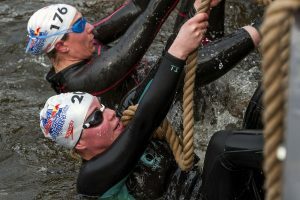 Compared to some of the races I’ve previously done, from the Arch to Arc Triathlon or the Marathon des Sables, the Red Bull Neptune Steps was comparatively ‘fun’. But for such a tough event, I’m really chuffed with myself that I reached the final, which was by no means easy. Although swimming is my strength, I had to dig deep. 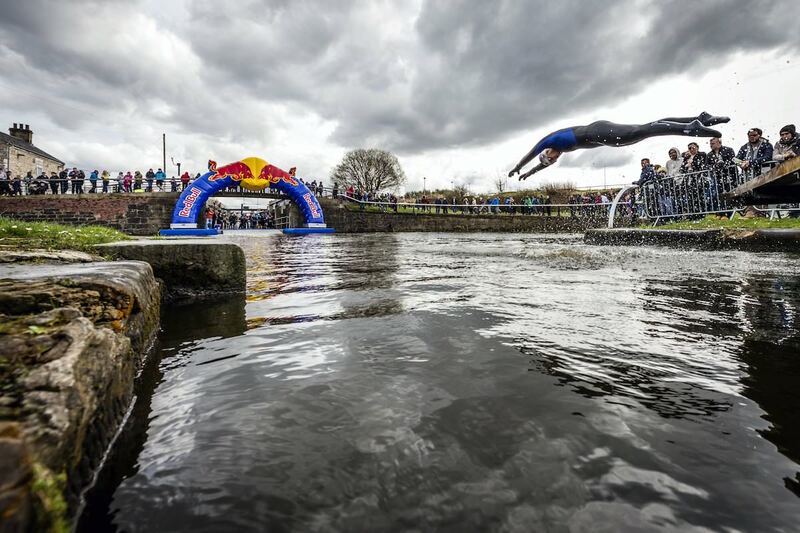 As far as I’m aware the Red Bull Neptune Steps is the only event of its kind in the world, but there really should be more of them. It’s one of those races that will put a smile on your face every time you think of it. So get your entry in early as it sells out in minutes! Hopefully I’ll see you next year! You can find the full results here and details on how to enter next year’s event. Mark is something of a jack of all trades, having completed numerous triathlons, cycle sportives, ultra marathons and swimming events. But it is in the latter where lies his super power. 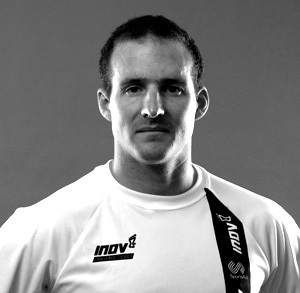 He's swum the Channel solo and in a relay alongside being a previous world record holder for the Enduroman Arch to Arc. Somehow he fits this all in around two kids, an equally adventurous wife and a busy job.